Practical? Probably not. However, the Spruce Stove does catch quite some attention. 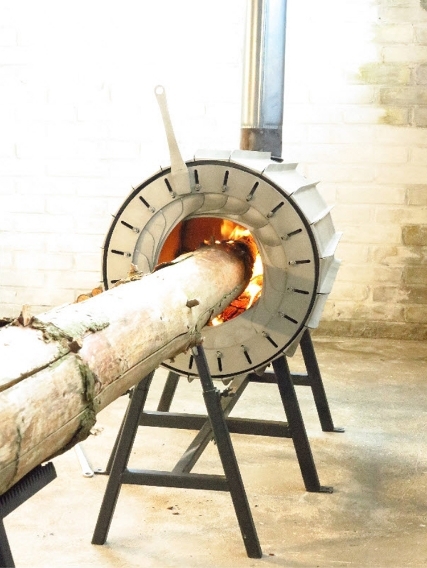 The terminator-like aperture shield allows the user to control the airflow and watch closely as the flames steadily devours the log. By using a felled and limbed tree the only action required is to slide it into the stove as it burns. 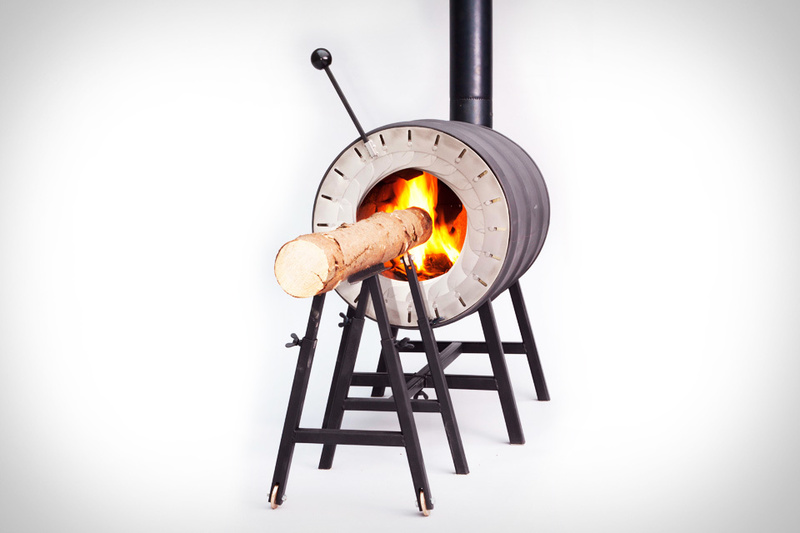 While this concept is still generating debate over overall functionality and safety; the 'Spruce Stove' is sure to turn heads, and (assuming effective) would make for a great design piece in any cabin or workshop.